Have you ever thought about how much time, money, and energy is wasted on unproductive meetings? You probably weren’t hired to attend or run meetings. Each hour that you are in a meeting is an hour that you aren’t working on the tasks that you were actually hired to do. While some calls and get-togethers are necessary and worthwhile, many people waste hours each day with meetings that add little or no value. One of the best ways to boost your productivity and get more done in less time is to approach meetings more strategically. 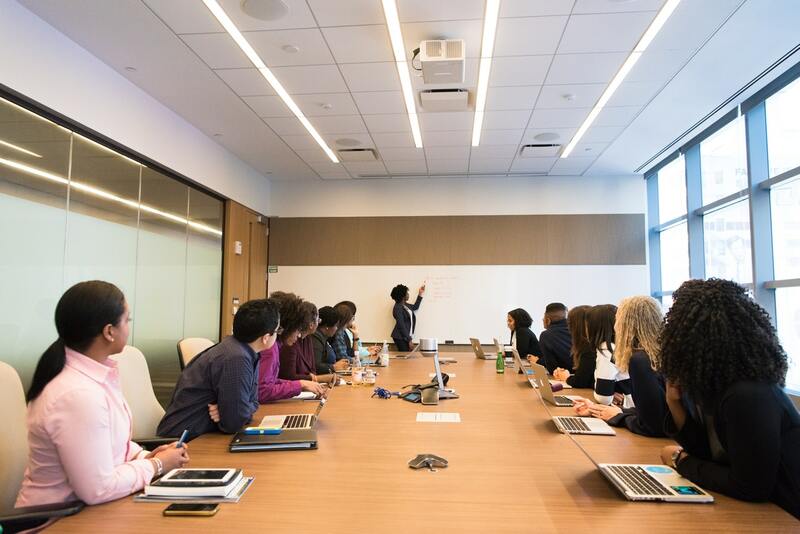 While you might not have complete control over your schedule, this article features four secrets for meetings that are shorter and more productive. As discussed here, when time is limited, it becomes a more valuable resource that must be invested more carefully. Shorter meetings serve as tighter deadlines that discourage attendees from wasting time on topics that add little or no value. If you block out an hour for a meeting (in-person or via phone), you will likely find a way to fill up that entire hour. However, you rarely lose anything by “only” blocking out 30 minutes instead. In fact, you often get more done because the time is better utilized. Most 60-minute meetings could easily be completed in 20-30 minutes max. Why not make 30 minutes your default duration for a meeting? Even better, why not make 20-25 minutes your default time? That way, you’ll actually have 5-10 minutes of “free time” before your next calendar slot. Bonus tip: Schedule meetings to begin at the half-hour, instead of the top of the hour. Meetings are much less likely to run over when they are supposed to end at the top of the hour (instead of the half-hour). Have you ever attended a standing meeting? If not, you will be amazed how much faster this sort of gathering moves along and how much more energy there will be in the room (or on the phone). If you are wondering if this will be less comfortable than a sitting meeting, it will be. That’s the point. Attendees are much less likely to extend a meeting longer than necessary when they have to continue standing to do so. Circulate (or request) an agenda in advance. This is important for a few reasons. First of all, it forces the meeting organizer (either you or another person) to actually think through and clarify the purpose and goals of the meeting in advance. Secondly, it sends a clear message to the other attendees that their time will be used wisely and that this will not be a typical (unproductive) meeting. Finally, this approach allows and encourages the other attendees to show up well-prepared to discuss the topics to be covered. Determine the follow-up before the meeting ends. Unless you resolve everything in the meeting itself and no follow-up is necessary, make sure all attendees are clear on the next steps and timeline for after the meeting. If you don’t decide at the end of the meeting what the follow-up plan is, why did you have a meeting in the first place? Note: If you enjoyed this article and want the people around you to start having shorter meetings, you can click one of the social media icons on this page to share this article. About the author: Pete Leibman is the creator of StrongerHabits.com and he’s the bestselling author of Work Stronger; Habits for More Energy, Less Stress, and Higher Performance at Work. Before writing Work Stronger, Pete worked as an executive recruiter for Heidrick & Struggles, a leadership advisory firm who serves the majority of the Fortune 500. In his free time, he teaches one of the largest group exercise classes in the Washington, D.C. area, and he has competed in the Obstacle Course Racing (OCR) World Championships.